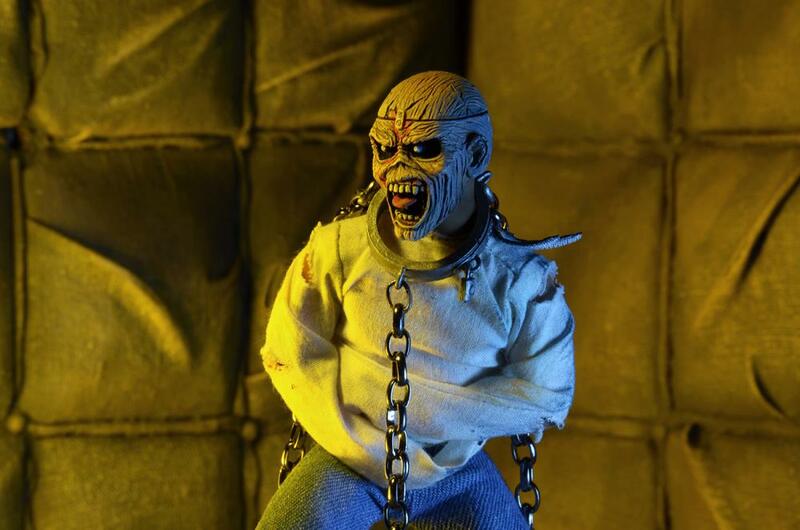 Straight from the cover of Iron Maiden's 1983 album Piece of Mind, Eddie is dressed in tailored fabric clothing, similar to the toy lines that helped define the licensed action figure market in the 1970s. 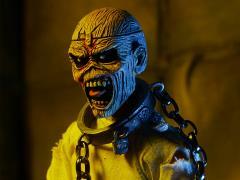 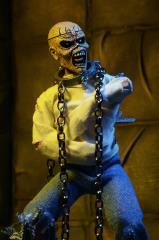 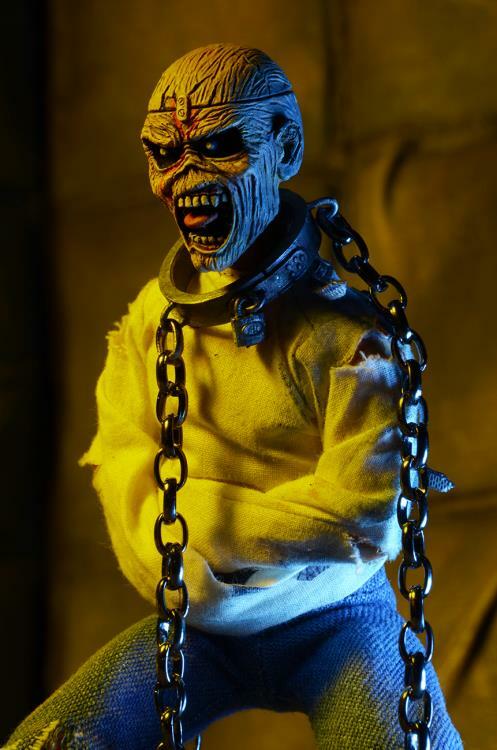 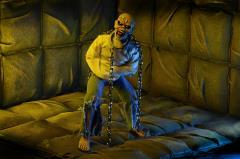 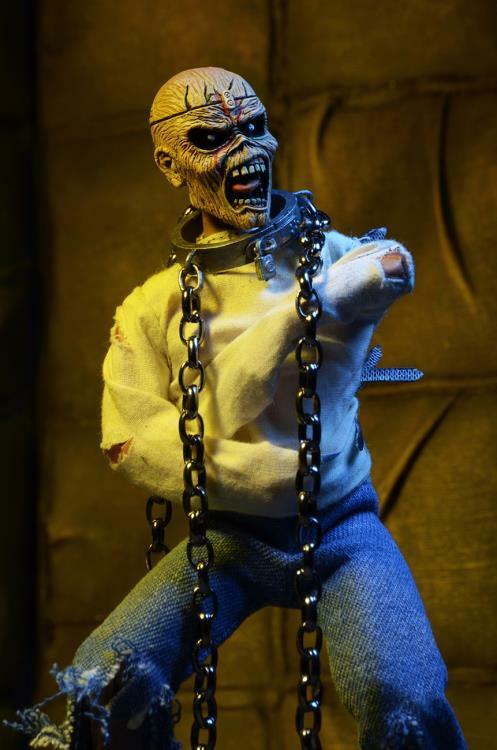 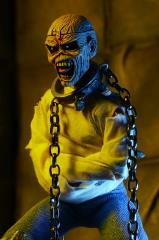 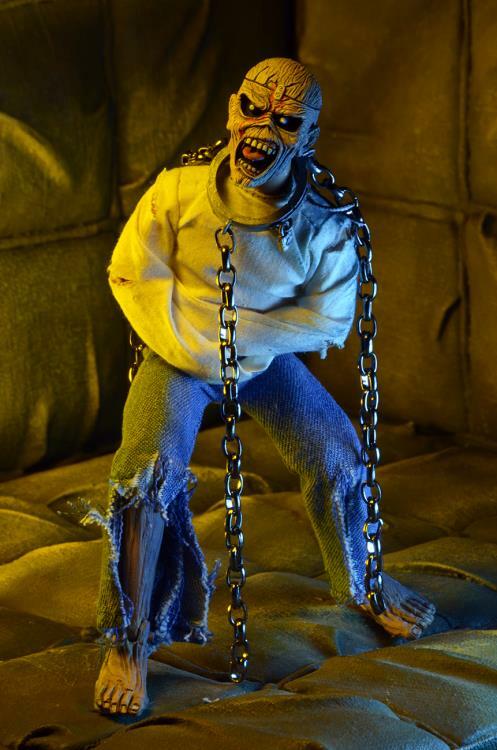 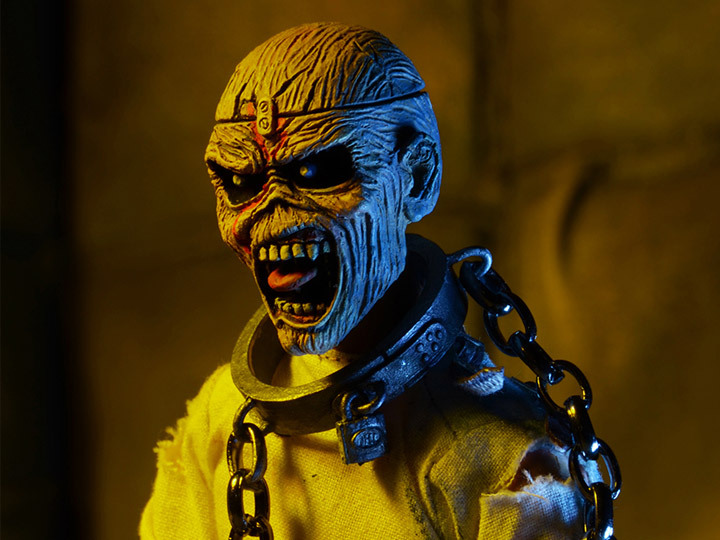 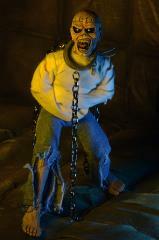 The band's legendary mascot stands 8" tall and features real metal chains. 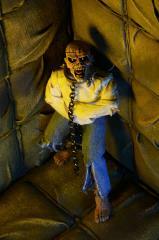 Comes in blister card packaging with resealable protective clamshell.